We are a creative communication agency and we help brands, leaders of industry and companies to better connect and engage with audiences through creative, integrated campaigns across traditional & social media. Our team consists of consultants with creative ideas and many years of experience in the field of communication and PR. We provide a comprehensive range of services including PR, digital communication, event management and branding. We will work closely with your company to develop its unique brand identity and find creative and effective ways to tell your story to strengthen your business or your own brand. Prior to joining Target Global Shmuel was a partner at the Berlin based Hasso Plattner Ventures where he invested in companies such as iZettle and Hansoft and served as a board member in DreamLines and reBuy. Before that Shmuel was a partner at Giza Venture Capital in Tel Aviv where he invested in companies such as Soluto (sold to Asurion), Vishal.ly and other early stage internet ventures. Together with Giza, Shmuel founded GPV, a pioneering Warsaw based venture fund where he also lead virus internet and software investment. Shmuel was also co-founder of LocaLoco (sold to Say Media Group ) a social gaming start up targeting emerging markets. Shmuel started his career as strategic consultant to GCS and a consultant for several members of the Israeli parliament and government. Lior Verona is an expert in consulting with deep knowledge of market conditions and opportunities. 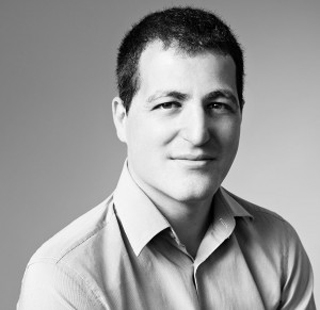 Lior is experienced in matching businesses together for joint initiatives or investments. He was CEO and founder of consulting company that provides management, business development, networking and strategic services. He was chairman of the Cellular Companies Forum and director of Duke of Edinburgh Youth Award, Masa and Good Will Ambassador and he is also former chairman of the Israeli Student Union. Lior holds a bachelor’s degree in International Relation and Education from the Hebrew University of Jerusalem. 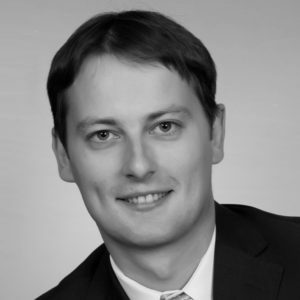 Jan Herzmann is the President of Herzmann, s.r.o., a leading Czech firm that provides market and public opinion analysis, and corporate and political marketing. Herzmann previously founded multinational public opinion research firm Factum Group, which provides research and polling from Germany to Russia. 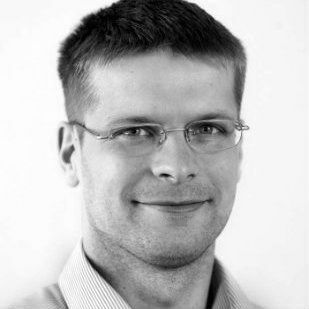 Jan is a past President of the Czech Marketing Association and the National Representative for ESOMAR in the Czech Republic and currently teaches at Charles University in Prague, at the Czech Institute of Advertising and Marketing Communications, and at Brno International Business School. Additionally, he is the Vice-President of the Czech National UNICEF Committee and a member of the Board of the Czech Transplant Foundation. A visionary thought leader and innovator, Nadeem has over 25 years experience in financial services and information technology. As a pioneer in the Fintech industry, Nadeem is committed to driving the reinvention of the finance industry. He is focused on identifying markets in their most nascent stages, and partnering with promising entrepreneurs, as well as corporations, committed to realizing a new way to address our society’s needs. 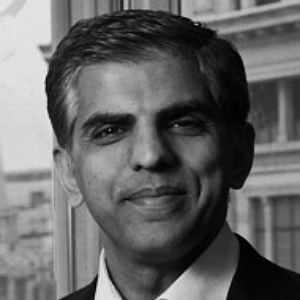 Nadeem co-founded and was CEO at Anthemis, an early stage venture capital and advisory firm focused on Fintech. In 2018, it had approximately 500m USD (AUM). Prior to that, Nadeem was President at First Data Corporation, where he ran a billion dollar organization overseeing businesses in more than 50 markets. Prior to this, Nadeem was a senior executive at American Management System – a preeminent strategy and technology consulting firm. Nadeem has served on the boards of leading-edge startups including Bento, Currencycloud, Moven, Jumo, PayPerks. As a philanthropist, Nadeem is on board of Trustees of CARE UK, Pakistan’s largest educational foundation, and sits on the boards of African social enterprise Access Afya, focused on providing primary healthcare and Prospero World, a UK charity which enriches society through art and culture. 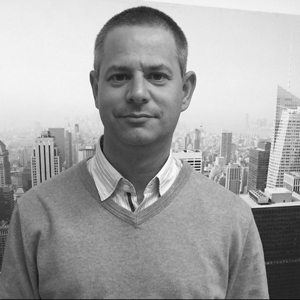 Martin is Senior Consultant responsible for providing PR full service to various client portfolio. He has many contacts with Czech journalists and lot of experience with strategic communication required for managing successful PR campaigns. His skills include media relations, copywriting, research, PR analysis, creating and implementing communication strategy. Barbara Fiala is an international strategist and PR thought-leader, specializing in the execution of communication, branding and positioning campaigns. She has worked with some of the world’s top political and industry leaders and brands. Barbara’s specialty is working with hi-tech, lifestyle, fine art and luxury brands. In 2012 Barbara established her own creative and communications firm – Baobab Group. Baobab Group is an award winning creative communication agency and we help brands, leaders of industry and companies to better connect and engage with audiences through creative, integrated campaigns across traditional & social media. Our team consists of consultants with creative ideas and many years of experience in the field of communication and PR. We provide a comprehensive range of services including PR, digital communication, event management and branding. Barbara is also a director at ART PLEASE, leading online discovery platform for blue chip fine art, headquartered in NY with offices in London, Prague and Tel Aviv. As a global PR thought-leader, Barbara regularly contributes to international publications writing on; PR and marketing, entrepreneurship, emerging market brands going global and diversity in the media. Previously, Barbara was a Partner at Greenberg, Carville, and Shrum Issues Management. In 2007, Barbara partnered up with AJF & Associates. 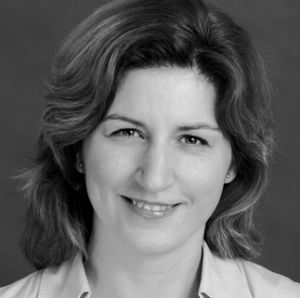 Working alongside world-renowned campaign strategists, Barbara played a pivotal role in providing strategic counsel on campaign organization, strategy, positioning and messaging to clients in multiple continents, in over 85 campaigns, including heads of states, CEOs, multinational organizations, and NGOs. 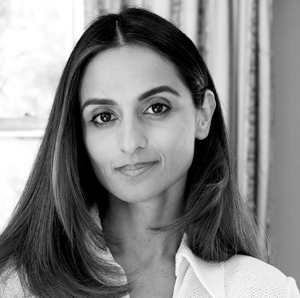 A London-based communications expert, Farzana serves as a Senior Director at Baobab Group. She has extensive reporter relationships and clients have included arts and culture initiatives for Russia as well as the Ukrainian and Azerbaijani governments. Other projects include the launch of the Friends of Barisan Nasional UK with Malaysian Prime Minister Dato’ Sri Mohd Najib, Imran Khan and the PTI political party as well as the Securing Asia inaugural Homeland Security and Counter Terror Summit at Westminster. Personal profiling projects have included top surgeon Mohammad Jawad, the subject of the Oscar-winning documentary Saving Face. From 2006 to date, Farzana served as Vice Chair of Conservative Business Relations, while high profile speaking engagements have included the Conservative Women’s Organisation at the House of Commons. She is also an advisor for the Sotheby’s Global Partnership as well as the Friends of Barisan Nasional UK, Malaysia’s ruling political party. Farzana was Advisor to the London Development Agency and Enterprise Insight on Enterprise Issues in 2006, and between 2006–08 was involved in fundraising for the Conservative party, both for Boris Johnson’s mayoral campaign and for fundraisers with Baroness Thatcher and the Rt. Hon William Hague. She also served as a member of the Committee for the Federation of Small Businesses as well as sitting on the committee of the Institute of Directors. Farzana was previously Vice President of Club 24, an initiative that supports female parliamentary prospective candidates. Currently a trustee of the Youth Music Theatre UK (YMT), the UK’s national music theatre company for young people, Farzana is also a firm supporter of charity, and has sat on committees including the Mad Hatters Show, in aid of The Children’s Trust and the Fundraising Committee for Soham for Kids and Seva Mandir, both educational charities in India. She currently serves on the board of CARE, Pakistan’s largest educational NGO. 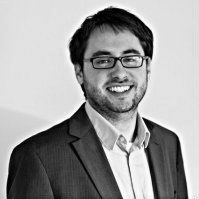 Dan provides clients knowledge and practical understanding of strategic communication and PR. He has broad experience in communication strategy, analysis, research and digital world. He worked on several election campaigns as strategist, researcher and analyst. He previously worked in the Cabinet of the Czech Prime Minister and was in charge of communications with the public, organization of educational and cultural events, and social media. Dan’s political campaign experience includes working for the winning political party in the 2006 Czech elections, and in 2012-2013 he was on the campaign team for a leading presidential candidate. Dan graduated in Political Science and History at the Faculty of Art of Charles University and resides in Prague, CZ. 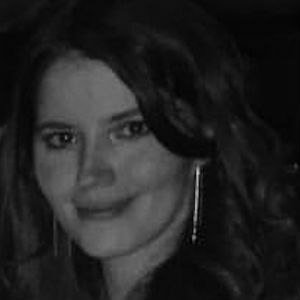 As a Senior Research Manager Tatiana’s focus is managing Baobab Group’s corporate and political public opinion research. Tatiana’s background includes political polls and market research surveys. Previously she was the Head of Public Affairs for the Czech Republic at global research firm, Ipsos. In this capacity, she specialized in polling and surveys for political parties and government offices. Previously at Ipsos she worked on market research projects for corporate clients in the financial, logistics, and utilities sectors. 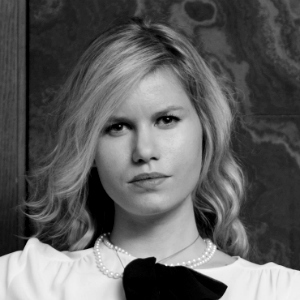 Since 2008, Tatiana managed polling and provided data analysis for the Czech Republic’s leading center-right political party. Tatiana is a guest lecturer at the Cevro Liberal Conservative Academy in the Czech Republic. She studied Sociology at Charles University in Prague and Social Policy at Masaryk University in Brno. Since 2012, Tatiana has been living in Rome, Italy. Candice is a motivated and diligent communications professional with nearly a decade’s experience specializing in communications development, planning, strategy, production, and execution. She has worked for high-level clients in the political, non-profit, and business worlds. prior to joining Baobab Group, she worked at Jamestown Associates, a leading political communications and consulting firm, providing strategic media services for candidates at all levels, local through federal, as well as corporate clients and government agencies. Prior to that, she managed several local and federal campaigns in New Jersey, having run for local office at the age of 23. She holds a Bachelor of the Arts from Rutgers, the State University of New Jersey. 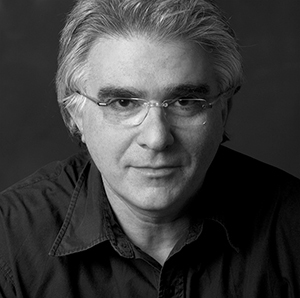 Shuki Duchovni leads the creative and graphic design unit for Baobab Group. He specializes in political and corporate brand campaigns, and has managed creative and branding efforts for politicians and political parties in Romania, Slovakia, Czech Republic, Bulgaria, Ukraine and Israel. Shuki has developed a unique technique that enables him to create a full branding book in a very short time. The branding book is then translated into an online version that allows the entire campaign team (creative, spokesperson, PR, strategists, field operatives) to work on a synchronized system throughout the campaign period. Alongside this work, Shuki receives inspiration for his political graphic designs from his work in the following areas: CEO of a boutique advertising studio; partner in a publishing firm; and restores old books and antique printing machines. Yoana has worked for 8 years in a PR and consultancy company where she has gained experience in the field of strategic planning, corporate PR, realization of communication campaigns, events management, crisis management etc. Yoana was also appointed general manager in our branch public affairs company based in Brussels where she has worked for the representation of the Bulgarian local authorities before the EU institutions. At the same time, she was working on the EU funding opportunities including developing and implementation of projects for our company or our clients, directly financed by the EU institutions. Previously, Yoana worked for the Ministers of Economy; Transport and Communications; State administration and administrative reform (total number of 6 years). The main responsibilities Yoana had were in the field of the relations with the international institutions and organizations. Yoana prepared the Minister and other members of the Political Cabinets for their participation at events or meetings. In 2008-2009, she was also adviser to the Prime Minister’s Office. During the years, she participated in several election campaigns – both national elections and for the European Parliament, for two of the leading parties in Bulgaria. Since November 2015, she has been independent consultant and in the beginning of March she founded her own consultancy company. The scope of work includes EU public affairs and funding, project management, PR, event management, strategic planning and consulting. The main project she is managing now is the initiative Mayor of Europe – an international competition of local authorities and mayors from all across Europe to be nominated and awarded for best practices in various fields of the local and regional development. 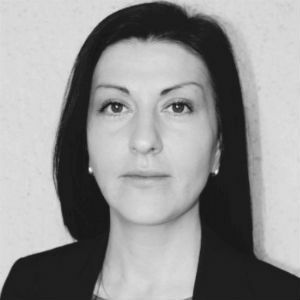 She also acts as a local expert of a Brussels consulting company where they organize events in Bulgaria for the public administration under TAIEX programme. The other projects Yoana works for are in the filed of communication campaign, event management, PR. 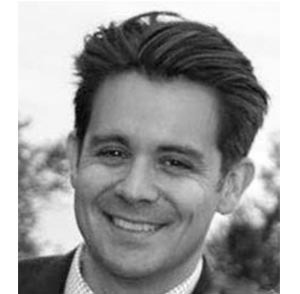 Tim Kelly is an international election strategist with a deep background of expertise in communications, media relations, message development, digital advertising/design/development, and political campaign management. Kelly has worked successfully with political leaders and campaign strategists from North America, Europe, and Africa to elect Presidents, Prime Ministers, Senators, Members of Congress, and Members of Parliament. In early 2014, Kelly joined the renowned team of legendary GOP and international political consultant and pollster, Arthur Finkelstein. Additionally, Kelly works as a contributing writer to several media outlets and also proudly devotes time as a mentor to high school students in the great Commonwealth of Pennsylvania. 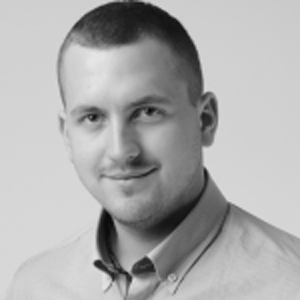 Branislav is a PR consultant with great expertise in strategic communications, media relationship and PR campaigns. He served Politicians on many levels, from Local to National, including Speaker of Parliament and National Party Leader Adviser. He was Chief Strategist of Successful European Parliament Election Campaign in Slovakia, National and Regional Election Campaign Strategist and Campaign Manager. He resides in Slovakia. Lucie’s experience is in the deep knowledge of social media tools and its mechanisms. She has knowledge of different human behavioral patterns in terms of interaction between social media, adverts and people. Lucie has worked as a freelancer for small and medium enterprises, start-ups and non-profit organizations. She was responsible for social media, customer relations, press releases and advertising. The difference in client’s segments and marketing needs gave her an opportunity to learn more about the role of social media and internet marketing in a modern story-telling strategies. She holds a degree in journalism from the Charles University at Prague. Pavel Urban has vast expertise in webdesign, mobile apps, PPC, SEO, social media strategy and Ccommunication and everything which is related to online advertising. He has broad experience in strategy setting, leadership and sales management. 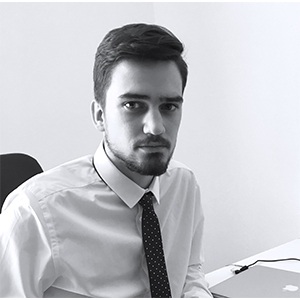 Pavel previously worked in Pria Systems as Client Service Director and also in international organisation AIESEC. He was in charge of communication with clients, closing contracts and creating strategies of advertising campaigns. Pavel graduated from Tomas Bata University, Faculty of Management and Economics. 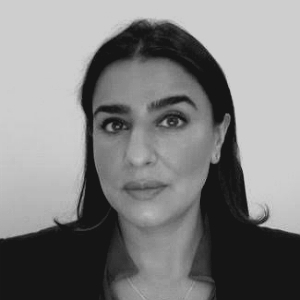 Eliza Ilyas has almost two decades of experience in the UK, UAE, and the wider MENASA region. She possesses a thorough understanding of stakeholder mapping, communications, and message development. Eliza is a public affairs and strategic communications specialist with a background as a reporter for a UK television station that transmits to more than 10 million worldwide viewers. Eliza has produced strategic content and developed key collaborations and engagement across a multitude of platforms, from the Global War on Terrorism to hand, foot, and mouth disease. She has worked for a leading multinational public relations agency and set up its public affairs practice across the MENASA region. She developed strategy, communications, and planning for the Abu Dhabi tourism and culture authority, where she ran programs to raise awareness with policy makers, influential actors, and multi-lateral organizations. She also handled the regional and international media strategy and planning for the inaugural UAE Pavilion for the Venice Biennale in 2009. In the UK, Eliza worked for several central government departments and with the Director of Communications for Prime Minister Tony Blair. 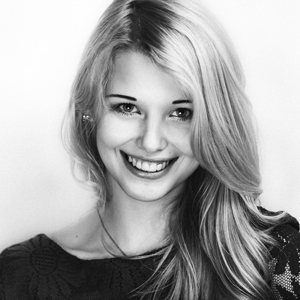 Eliza holds a law degree and a postgraduate in Mass Communications and splits her time between London and the UAE. As an Associate at Baobab Group, Wei brings to the team an understanding of journalism-based research, and how to take advantage of social media platforms to amplify a cause or raise the profile of a company. Wei provides client media monitoring, and develops the ‘Daily Prism’ that includes news of the day in Central and Eastern Europe. 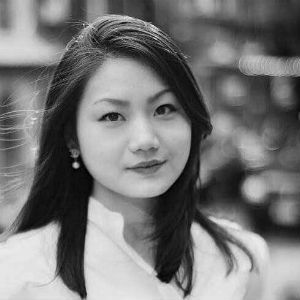 Previously, Wei worked as intern News Assistant at the Associated Press in Beijing, where she coordinated phone calls among the AP’s London headquarters, the Hong Kong and Beijing bureaus, and story distributors. She monitored the most demanding China-focused stories, while helping tailor them to the interests of the AP’s clients. In Washington, Wei previously interned at the Hudson Institute on the Political-Military team, where she coordinated meetings among D.C.-based Chinese diplomats and members of the Hudson Institute. Wei resides in Washington D.C., where she is pursuing her Master’s Degree in Public Relations & Corporate Communications at Georgetown University. She received her bachelor’s degrees in Broadcast Digital Journalism from the S.I. Newhouse School of Communications, and International Relations from the Maxwell School of Citizenship and Public Affairs of Syracuse University. Wei speaks English, Mandarin and Cantonese fluently. 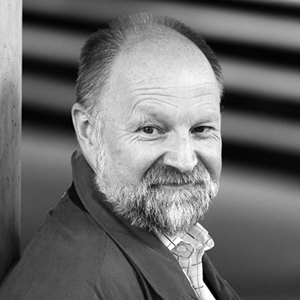 Ondřej Mikeska is responsible for visual aspects of advertising campaigns. Graphic design is his core activity. He graduated from Polygraphic High School in Olomouc and he got his experience in graphic design studio BastArt.cz where he worked as Graphic Designer. Ondřej is focused on web design, logo design, brand design and corporate identity design. Ondřej is really keen on graphic design, his job is his hobby at the same time which is reflected in his pieces of design.